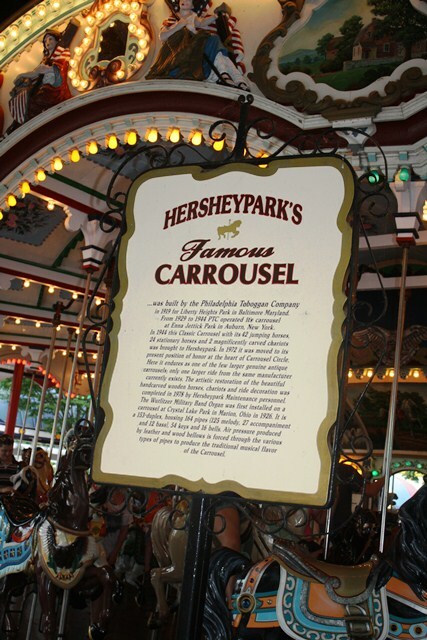 The beautiful, nostolgic merry-go-round (carrousel) depicted on our website can be found in the heart of central Pennsylvania, at Hersheypark. Occasionally, being “on the merry-go-round” can actually be a wonderful experience! Hersheypark’s famous carrousel was built by the Philadelphia Toboggan Company in 1919 for Liberty Heights Park in Baltimore, Maryland. 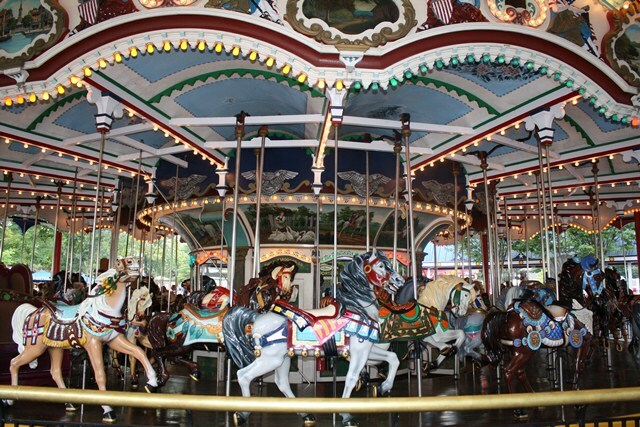 From 1929 to 1944 PTC operated its carrousel at Emma Jettick Park in Auburn, New York. In 1944 this Classic Carrousel with its 42 jumping horses, 24 stationary horses and 2 magnificently carved chariots was brought to Hersheypark. In 1972 it was moved to its present position of honor at the heart of Carrousel Circle. Here it endures as one of the few larger genuine antique carrousels; only one larger ride from the same manufacturer currently exists. The artistic restoration of the beautiful handcarved wooden horses, chariots and ride decoration was completed in 1978 by Hersheypark Maintenance personnel. The Wurlitzer Military Band Organ was first installed on a carrousel at Crystal Lake Park in Marion, Ohio in 1926. It is a 153-duplex, housing 164 pipes (125 melody, 27 accompaniment and 12 bass), 54 keys and 16 bells. Air pressure produced by leather and wood bellows is forced through the various types of pipes to produce the traditional musical flavor of the Carrousel.